As we head into a long weekend here in the states. I found a cool video produced Marion Laundry at Autodesk. How to blur reflections! I've always thought that if a rendering looks "too perfect", it gives it away as being a computer generated image. It's a fact of life, nothing is perfect. 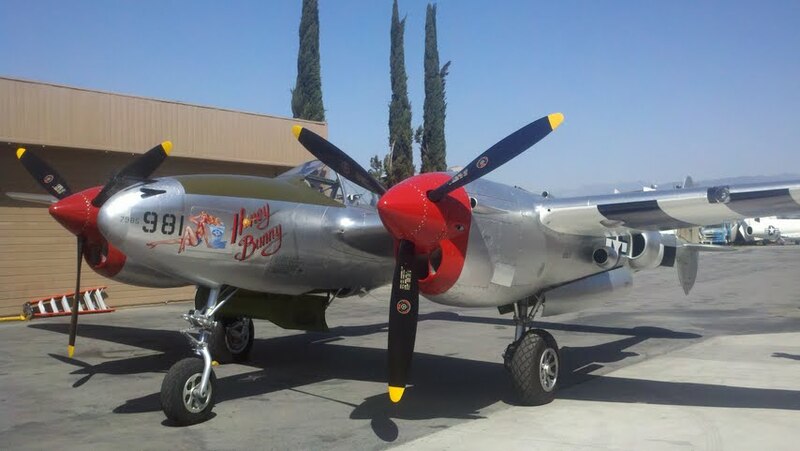 Take a look at this Lockheed P-38 Lightning owned by Allied Fighters in California. It's got a pretty shiny paint job. Not fully polished, but pretty shiny. The Allied Fighters P-38 Lightning "Honey Bunny"
Notice how the reflections are blurred however? It's not a mirror finish. Marion's Video gives a great tip on how to create blurred reflections. So instead of talking about it, check out the video below! One last note! While it should be obvious right away, I DID NOT CREATE THIS VIDEO! This is created by Marion Landry at Autodesk, and all credit belongs to her! Take a look at her channel here and check out more of her videos! And just for the fun of it, here's a video of Honey Bunny in flight at the Living History Event at Planes of Fame Air Museum. With a unique camera perspective too! Easily, one of the most beautiful aircraft, let alone, war bird designs, that ever flew. Nice to see this beauty well taken care of.